My father, Pitaji, has been an ardent student of Acharya Vinoba Bhave over the last 50-60 years. He has read perhaps all that has been written by Vinoba Bhave, and he still regularly reads and re-reads Vinoba literature. An introduction to Vinoba Bhave if you have not heard about him. Acharya Vinoba has been considered by many as the spiritual successor to Mahatma Gandhi. He was born in 1895. He was actively associated with the Indian freedom movement. However he is better known for some significant post independence movements; Sarvodaya and Bhoodan movements. He will also forever be remembered for his talks on the Gita which were published under the name “Geeta Pravachan”. This has been translated into many languages and is still popular even some 70 years or so after it was first published. Pitaji, an ardent “Geeta Pravachan” fan, is known to gift copies of this book for many years now. He carries a few copies with him even on travel! It occurred to me a few months ago that I am not conversant with the works and teachings of Vinoba. Who, I thought, was better to guide me in this than Pitaji. Since we stay in different cities, he in Jamshedpur and I at Bangalore, I requested him to write to me a letter on his understanding of Vinoba’s works. This was sometime towards the end of 2007. One letter of course was not enough and I asked him to continue writing to me. Eventually this progressed into a series of sixteen letters, each discussing in detail different aspects of Vinoba’s works. Vinoba’s thoughts on the Geeta, Sanskrit language, Maharashtrian saints (e.g. Gyaneshwar, Tukaram, Naamdev), life and death, Hindi language etc. Letters in Pitaji’s finely crafted handwriting, steady and even. I would get home in the evenings from office and my kids would inform, “Baba’s letter today!” Baba meaning grandfather. I would open the envelope and see photocopied sheets of Pitaji’s writing stationery. I had asked Pitaji to send me only copies of his letters lest the original was lost due to the vagaries of the Indian Postal System. I would call him up after reading the letter, and he would respond enthusiastically with his queries. Sometimes I felt guilty subjecting this old man to some rigorous writing exercise. An 83 year man, otherwise healthy, but suffering from significantly severe eye damage. His writing and reading is limited to daylight hours and his detailed letters meant that he had to forgo reading which is his passion. Pitaji would pull out Vinoba’s books from his collection to quote relevant portions. He also delved into notes he kept from his meeting with Vinoba in Jamshedpur four decades or so ago. I never knew that these notes existed. Sometime in the middle of it all Pitaji had a writer’s block! “There is nothing else I can think of writing”, he said. It took some counseling from me- and suggestions of fresh topics- and the letters resumed. I realized over time that this series of letters was something which would benefit others who may want to know something about Acharya Vinoba. I decided to get the letters published as a book. “But you never told me that these letters would come out as a book”. That was Pitaji’s reaction when I informed him about my plan. “But these were meant as letters to you!” he was more alarmed. Reluctantly, he agreed. But he said he would write one final letter in the series giving his version on the letters getting published as a book and a suitable preface as well. “Of course, you must!” was my reaction. Then followed a hunt for a printer. We found one in Jamshedpur. I was certain that no publisher would touch a book written about Vinoba, and that too written by an unknown 84 year old author! The search for a name for the book proved to be a taxing exercise. Pitaji shorlisted a bunch of Sanskritized names which for some reason I was not comfortable with. (“Mahapurush Sanshrayah”- was his pick). I posed this issue to my friend Anshu, in Lucknow, and he promptly came up with the name “Vinoba, Mein aur Tum” (Vinoba, I and you). I thought this was the perfect descriptor for a book of this nature. A father telling his son about Vinoba. Lots of encouragement came from Narendra Kohli ji, a student of my father. Kohli ji is an eminent Hindi writer famous his novels on the Story of Rama, Mahabharata and Swami Vivekanand. He is based in Delhi. When I hesitatingly called him up, he not only encouraged me but also agreed to write an introduction to this book. What a delightful read his piece is! A couple of gentlemen known to Pitaji in Jamshedpur offered to do the editing, proof reading and other logistics work. So now the book of my imagination was indeed getting into a book shape! The book is being released next on 4th February in Jamshedpur. All six of us brothers and sisters and other relatives from all parts of India are turning up on the 4th February to attend a public meeting for the book release. I reach there a day before along with my wife. We all will also wish him a very happy birthday; Pitaji embarks on his 85th year on 4th February. PS: The picture you see above is the cover of the book. I do not feel guilty about sharing the cover picture before the book release as I know that those who read my posts may not attend the function and those who attend it may not read my blog. And, dear reader, if you want a copy of the book, do let me know. Malcolm Gladwell is back again. This time with the argument that outstanding success is not a consequence of individual brilliance, talent or intelligence alone. These certainly are required, but what really does matter is the contribution of the society, the environment in which one grows, parenting etc. This is the premise of Malcolm Gladwell’s latest book, “Outliers”. For those not familiar with the author, he is a journalist who already has two super-sellers. His first book, “The Tipping Point” analyses trends which spread hyper quickly at a certain point. The second book, “Blink”, discusses how choices- and decisions- get made in an instant. Outliers are those, in the author’s words, who achieve things that are out of the ordinary. Outliers inhabit all fields, again in Gladwell’s words, “geniuses, business tycoons, rock stars, and software programmers”. The author has explored scores of these outliers. Right from the physicist Robert Oppenheimer ( I did not know that he attempted killing his teacher when he was a student), to Beatles (I never knew that they played long, long, hours in the strip clubs of Hamburg, Germany, before they got famous. And they mostly played cover versions of the then existing popular numbers). The great- and supremely rich- Bill Gates who started doing programming as an eighth grader. Gladwell has interesting stories on why the Asians are good in Math. He does not mention Indians (of the Asian variety) but I suppose the logic he gives fits Indians as well. And stories on how culture has a lot to do with plane crashes. The author even profiles a super-super genius American (IQ better than that of Albert Einstein’s, no less!) who has been a failure in life. This book continues the trademark Gladwell expertise on exploring (and explaining) social phenomena in his utterly readable easy-to-understand style. This book is simply un-put-down-able. (The easy-to-hold paperback edition helps!). Boredom you will never experience, but for those who may want to think through the arguments in this book, these points may come to your mind. Like: The author does not tell you how to be successful. No how-to-be-successful kind of advice. (Though the book is sub-titled “The STORY of SUCCESS”.). There is a tip though: to be insanely great in something you must practice it for ten thousand hours. Malcolm Gladwell does not discuss exceptions to his theories of successful people, no mention of those who have defied his theory of success. To be fair, he does discuss high IQ people who do not succeed, but not vice versa. All said and done, this is an eminently well-written and well argued book which I would strongly recommend. I wonder about the “outliers” in the Indian context. Here are some of the true modern Indian outliers. Sports: Sachin Tendulkar, Vishwanathan Anand. I wonder how these persons became outliers. 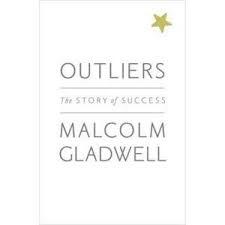 Which of Gladwell’s theories explain their super successes? Maybe someone could explain that for me. The detailed comments from some of my dear friends to my previous post “Ahmedabad: Uttarayan Eve 2009” say more than I ever could have. They have described the festival and the associated feelings so well! What I will do is post some pictures which I took on Uttarayan morning. Thanks to a colleague of mine at Ahmedabad I could get to fly kites. He gamely set the kite up and handed me the ‘controls”. I tried some deft manouvers trying to act like one kite-flying cat. And sure enough, and soon enough, my colleague had to intervene to save my kite from other predator kites. And here is a resting place for these objects of joy. Ahmedabad! I will be back for Uttarayan next year. For a longer stay. And with my family! There are kites, and there is kite flying and then there is the Uttarayan festival in Ahmedabad. 14th January is celebrated by Hindus across the country as Makar Sankranti. Gujaratis call this Uttarayan; this is the day when the Sun starts its travel towards north in celestial sphere. In Gujarat Uttarayan is marked by day-long kite flying by millions of people there. As I drove from the airport to the city on 12th January, enough posters and signages were visible along the way talking about the just concluded International Kite Festival. This attracts hundreds of kite flying enthusiasts from all over the globe flying kites of different shapes and sizes. Since I had missed watching this competition, I was determined to make the most of the opportunity I had as my trip to Ahmedabad coincided with Uttarayan. And the first step was a visit to a prominent kite market, Raipur, the evening before the D-Day to window-shop for kites. This narrow road, barely half-a-km long, was choc-a-bloc at 5 in the evening. And we were told that we had not seen anything yet, the bulk of the business happens after 9pm and all the way to 2 am! Hundreds and hundreds of shops selling kites, phirki and manjha. And lots and lots of accessories. More about these, later. First, the kites. Raipur that day was THE supermarket for kites. Millions and millions of them in all colours, shapes and sizes. I was told that an average family would buy upto 100 kites for this day! Assuming 5 lakh families fly kites on Uttarayan – I am making a very rough estimate here – the “consumption” of kites would be something like 5 crore kites in one single day! Maybe I have made insanely erroneous estimates, but one stroll down the Raipur market street is enough to convince you that this city LOVES kite-flying! Kites in the regular diamond shape in a multitude of colours. And in multiple sizes. And multiple shapes as well, including a round kite, a kite-shaped kite, and other assorted shapes. ...or a black kite with tassles? If you are a film buff, shop for “Singh is Kingg”, or Salman or Shahrukh or the large tall Rani Mukherjee kite. And choose from a large range of phirkis. Hanging in clusters from shop fronts. All made of plastic. I wonder what happened to the wooden ones which we used as kids. In the bylanes one could see the manjha-wallahs furiously at work giving kilometers and kilometers of thread their murderous edge. For those who do not know, manjha is cotton thread used for flying the kites. The thread is coated with glass powder with the help of glue and the glass is what gives the thread the sharpness to “cut” other kites. A good quality manjha will make the difference between two dueling kites in the air (besides, of course, the skill of the kite flyer). For good measure, the manjha mixture is tinted pink to give the thread its sinister, or festive look. Depends how you look at it! Occasionally manjha not only cuts kites but also injures birds. The manjha freely falling kite which has been cut is known to slit throats of unsuspecting cyclists on the ground. The manjha application is a fascinating process and surprisingly quick. I could figure out two broad methods of manjha coating, thread moving and manjha applicator stationery and manjha artist moving and the thread stationery. I am no expert in manjha matters, so I have no idea which process is better. ..but the effect is gorgeous. The accessories collection add colour to the market place. What accessories, you say, once you have bought the kite and the phirki and the manjha. Those are only the basics. What about finger-gloves to protect your fingers from your own manjha? And caps and goggles to protect you in the sun? And binoculars to keep a track of the goings-on in the sky? Sun burn lotions, adhesive plasters for protection and even an assortment of masks to add to the festive spirit, the possibilities are many! As I was returning from the Raipur market that evening I was wondering what the atmosphere would be like on the D-Day! I was not disappointed, to say the least. But that is the stuff for another post…. But not all were kite-flying…. Gujaratis, being what they are, were also doing serious business on the side. Uttarayan is the time when the Gujarat government organizes the “Vibrant Gujarat” symposium which attracts leading industrialist and investors from across the globe. The Ambanis, the Tatas, the Mittals; you name them and they were all there! Making huge investment commitments to the state. Here is the front page of Time of India, Ahmedabad edition that morning. It is wise to take advice from experts if you are visiting a new place. Hyderabad is not exactly a new place for me, I have lived there for a few months and visit the city often on business. But I was going there on vacation with my family and we had decided to gorge on the Hyderabadi cuisine. I emailed to someone I know- he lives in Hyderabad- for recommendations of some biryani joints other than the famous Paradise and Niagara. He not only gave me the names of the best biryani places in Hyderabad, but for good measure he added names of some restaurants serving Punjabi cuisine and typical Andhra cuisine as well. He should know as he not only resides in Hyderabad, he is also a restaurant reviewer with a popular national publication. He, the unnamed, has earned eternal gratitude from the four of us for whom the eating became the key activity during our Hyderabad break. Charminar, Golconda Fort and Ramoji Film City were mere add-ons! The mention of “Four Seasons” may remind you of Vivaldi’s popular violin concertos. That enthralling depiction of the four seasons, Spring, Summer, Autumn and Winter. After the trip, four seasons means only one thing for me; the perfect biryani! The four in Four seasons at Toli Chowki is written numerically; “4 seasons”. A simple place in a cluster of eateries at Toli Chowki. No frills, just great food. Period! I am not a food critic (or a restaurant reviewer for that matter), so I will not be able to describe the fare adequately. This was great service without the fuss, biryani with all the taste and minus the spices, and lamb pieces succulent, incorporating all what is meant by succulence; juicy, tender, tasty and of course meaty! The accompaniments were just right and not overbearing; a gentle liquidy raita (called dahi ki chatni) and “mirch ka saalan”. Refills served with alacrity. The “Khubani ka Meetha” (an apricot-based dessert) and the “Umm ali” (a milk-based middle-eastern dessert) which we had after the meal were ethereal. “4 Seasons”, I am told, also serves great middle-eastern cuisine. I must return to the place to check this out. Never mind Vivaldi’s concertos, this was a regal symphony celebrating great food. And I could have at in any season! We are given Himayatnagar as the location for Café Bahaar. We go round-and-round and discover the place finally at Hyderguda which is next to Himayatnagar. A plain non-descript place tucked into a by-lane. As we enter the place, we are still confused about the Himayatnagar/ Hyderguda bit. I ask the steward, “Is this Café Bahaar? It was rather stupid of me as we had clearly seen the big signage for the Café as we entered the place. He reassures me. “Sir, this is the only Café Bahaar in the vicinity. Table for four? There you are”. As we settle down, a grubbily dressed waiter serves us a strange drink in Fanta bottles. Our antennaes go up. Fanta is not what we have come here for, though I must admit that it did taste fine. We were here for BIRYANI!! “So Mr. Steward, what would you recommend?” my perfunctory question after we read the menu card. “Mutton Biryani, of course” was the answer we expected but we were in for a surprise when he mentioned we should go in for Chicken Biryani. The next round of discussion was on the quantum of biryani to be ordered and he suggested “Chicken Biryani, Jumbo pack. With Full Bird”. We had to agree with him. After all we were a very hungry family wanting to have lunch at nearly 3 in the afternoon. And what we consumed was probably 40% of it. Despite each of us taking multiple helpings. I do not know why we were recommended Chicken biryani, but I can tell you that I have never had something as tasty to the east of the Suez Canal or to the west of Egypt. That pretty much covers the globe, right? Then there was the mandatory Hyderabad speciality dessert, this time spelt pretty quaintly as “Qubani Sweet”. Never mind the spelling or the taste of the meetha. Café Bahaar’s Chicken biryani is something to die for! And, of course, we took back with us the left overs. To be finally polished off when we reached Bangalore. Chutneys at 2, Banjara Road was the place recommended for “tiffin”. Tiffin in South India means a snack. Which in South India translates to dosa, idli and utthapam. Which are to be found across India and beyond its boundaries too. So you ask what is the big deal about having dosa and idli in South India. Let us start with the dosa. The big deal here is that we had “steamed” dosa. Mind you, steamed. With zero oil! This was developed by this establishment specially for the Telugu film superstar (and now also a political party leader), Chiranjeevi. And cooked the Japanese way, the menu card claims. I wonder if this specially formulated dosa made the superstar or whether it was the other way round. But I felt every inch super satisfied biting into the dosa. So soft and fluffy! And tasty! Then there was this famous “Babai idli” styled on its Vijayawada original. Hot, soft, fluffy idli crested with a scoop of fresh butter. Just the melt-in-mouth variety. Served with pure coconut chutney. And the restaurant, which has to protect its name- “Chutneys”- served four more varieties of chutneys. One dry chutney and 3 more chutney-looking chutneys. Dear readers, if you think you have had a fill of dosas and idlis, my humble advice to you is to visit “Chutneys” once to see for yourself the difference between a good dosa and a great dosa. And a good idli and an insanely great idli. We had a dinner at the newly opened branch of “Punjabi by Nature” at Banjara Hills. This is a chain of restaurants largely centered around Delhi and I see no reason why they should not have branches across the globe. I shall not go into the details of our experiences there, it is a material of a separate piece on its own. Besides, it is not great Hyderabadi food, just great food had in Hyderabad! a. The “Jhangi” chaap we had there were the juiciest and crispiest and tastiest chaap I have ever eaten. Maybe the one I had at Lahore’s food street could be close comparison. b. This was a rare occasion where the steward talked us out of ordering extra. I thought I was being conservative when I ordered six lachcha parathas for the four of us. Pretty reasonable, I thought. One and half paratha each. The steward gave us a smile and asked us to start with two. I thought he was being stupid. Till the two parathas arrived. These beasts of parathas were nearly a meter in diameter! Eventually, as it turned out, we had to struggle to finish the two parathas! c. We had Punjabi food in Hyderabad in a restaurant managed by two Biharis and the steward too was a Bihari. d. We were treated to gajar-ka-halwa on the house. The magic trick will be narrated in another post! I have pledged to myself I will certainly return to “Punjabi by Nature” and eat one full paratha all by myself. You see, I am a Bihari by nature (and birth)! You are currently browsing the Santosh Ojha's Weblog blog archives for January, 2009.